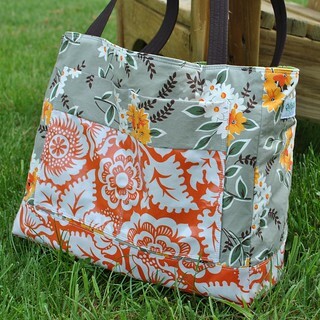 Last summer I sewed up this tote bag, which I still use every day! With a little more free time now that Addy is in school, and lots of support from some great friends, I finally have the pattern ready for purchase! You can find it here, in my Etsy shop. No pattern pieces! All pieces can be cut with a rotary cutter, ruler and mat! 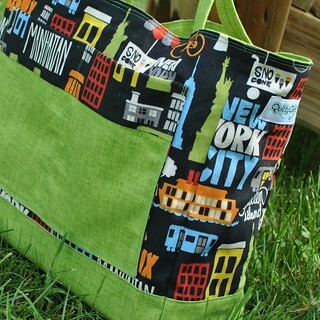 The bag includes a large exterior split pocket, which is a great place to showcase a fun fabric. 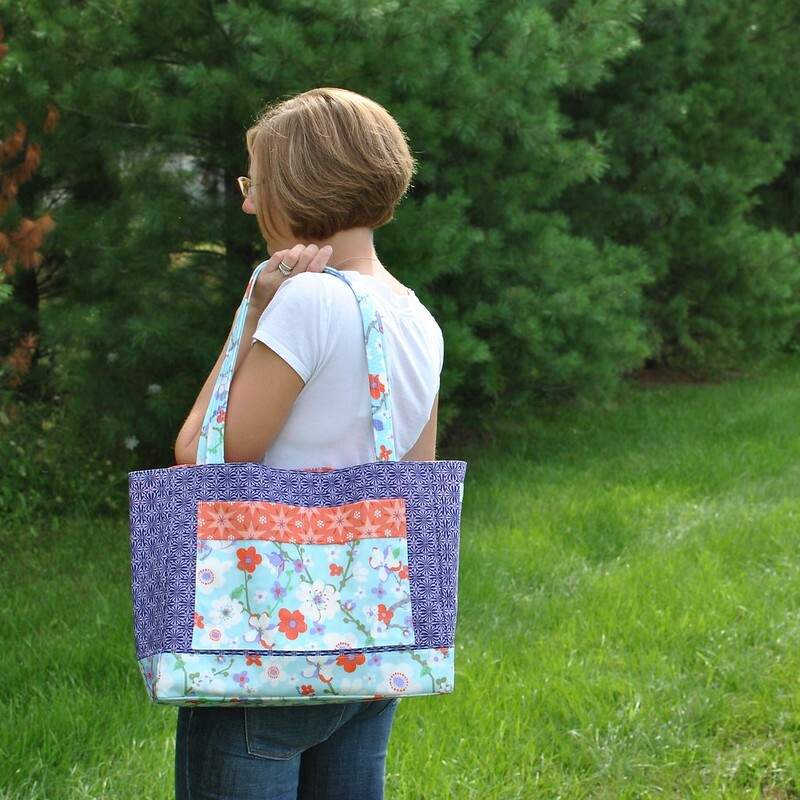 The 28" straps are long enough to easily carry the tote on your shoulder. 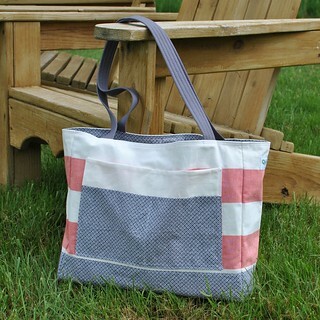 The accent panels along the bottom of the bag not only add personality, but also durability. 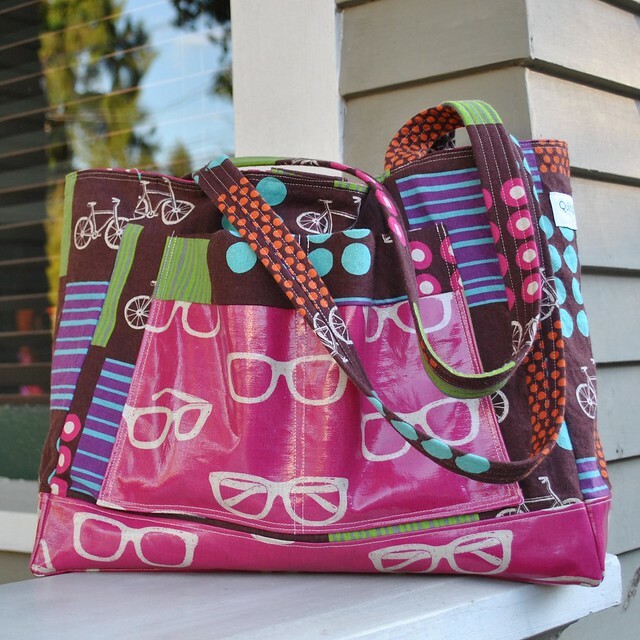 Laminate fabric is a great choice for easy clean-up! 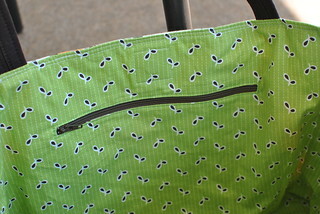 Inside, the tote has a large zip pocket. 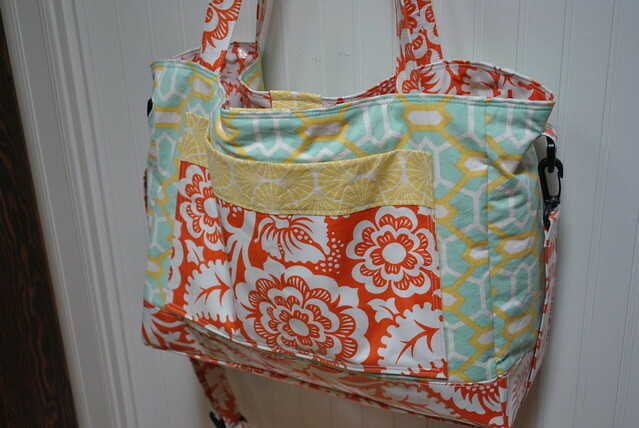 It is so easy to install, and a great detail in a bag. 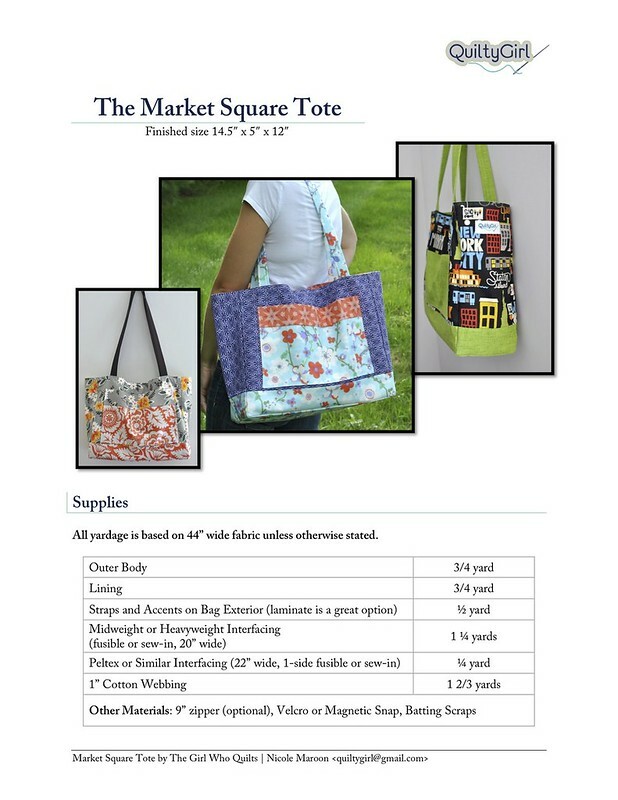 Have fun creating your own Market Square Tote, and be sure to add your pictures to the flickr group! As always, feel free to email me or post on flickr with any questions. I can't wait to see what you create! A huge thanks to everyone who has helped me finish my first pattern! 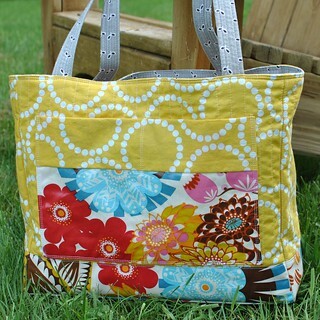 Later this week I'll share some pictures of the bags made by my fabulous pattern testers. 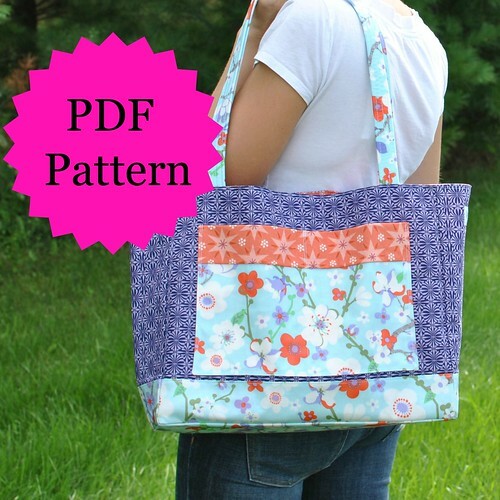 In the mean time, you can purchase a copy of the pattern here!